The Sagrada Familia is an absolute gem. If you’re going to Barcelona, don’t miss this. 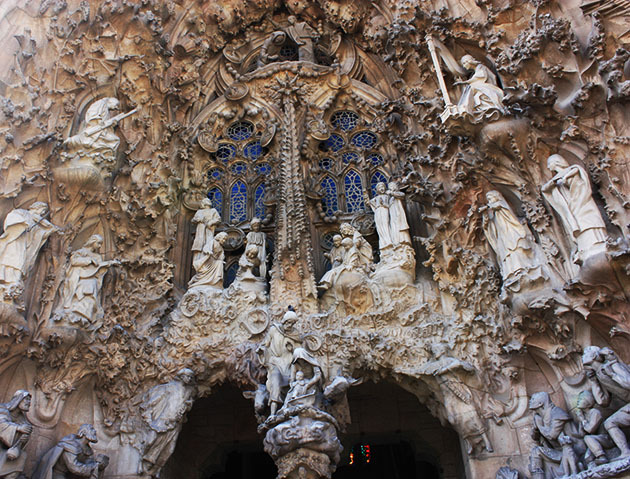 I’m not religious, yet I found Antoni Gaudi’s Basilica simply stunning. 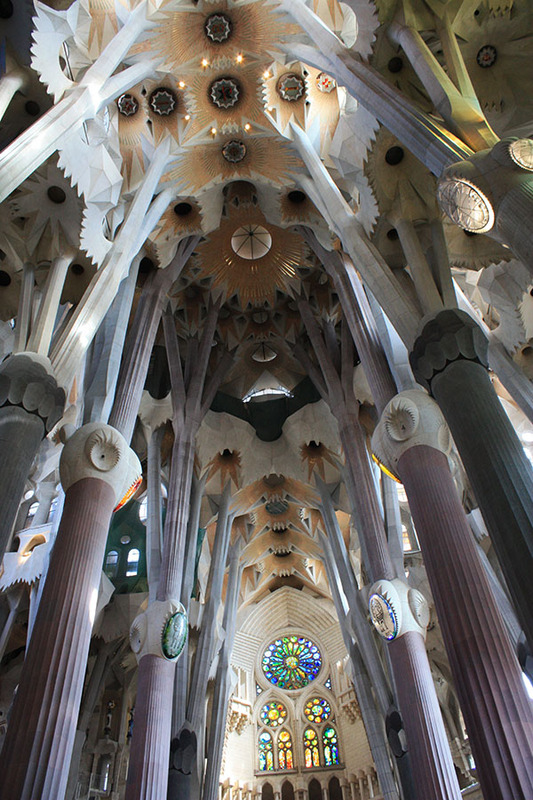 This is beyond worthy of being Gaudi’s shining legacy, his life’s work. Hot, balmy days are a common occurrence in Barcelona. 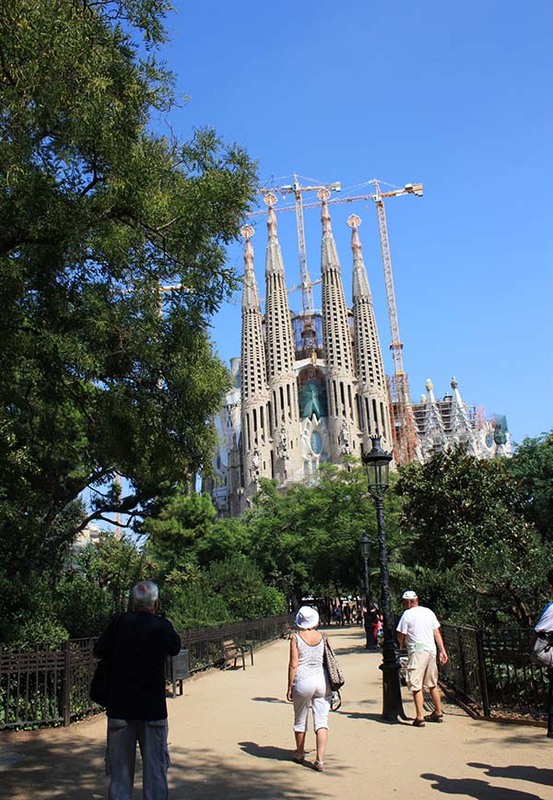 We trudged our way to the Sagrada Familia unsure exactly what to expect. The one piece of advice we did receive was “make sure you go inside”. Lucky we had this to go on, as when we arrived the queue to get in stretched right around the block. A bit daunting, as no-one enjoys lining up in the heat. Dreaming of frozen yoghurt we waited patiently in line. 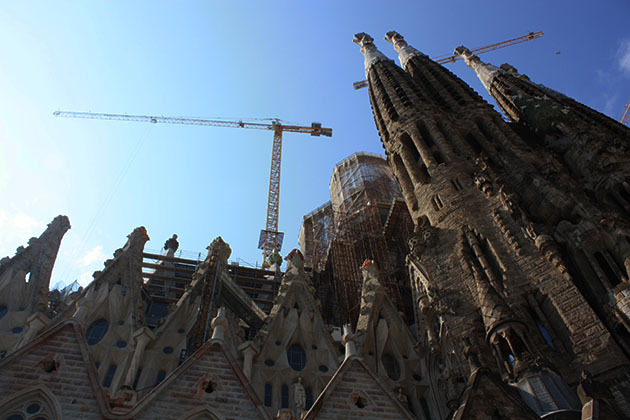 So how did the Sagrada Familia come to be? The basilica has a long history, and is still not actually finished. Construction commenced in 1882. 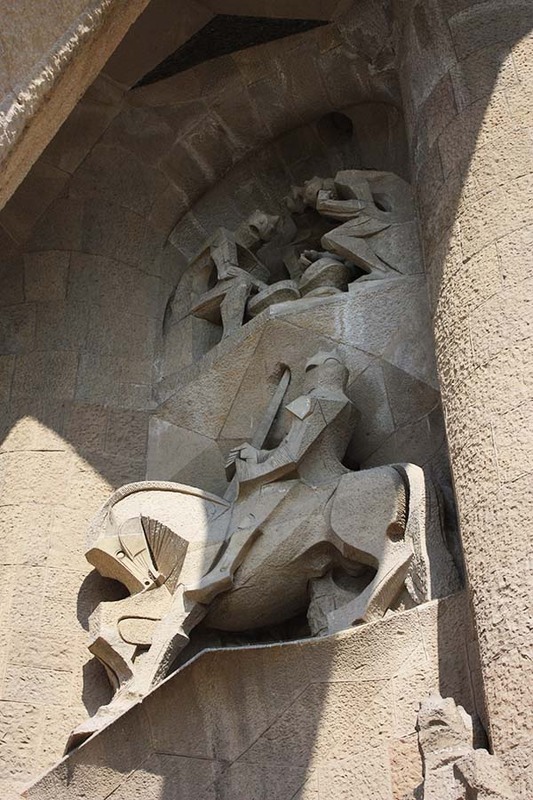 Gaudi is known for stating that his “client is not in a hurry” and in fact, upon Gaudi’s death in 1926 the building was only around 20% complete. 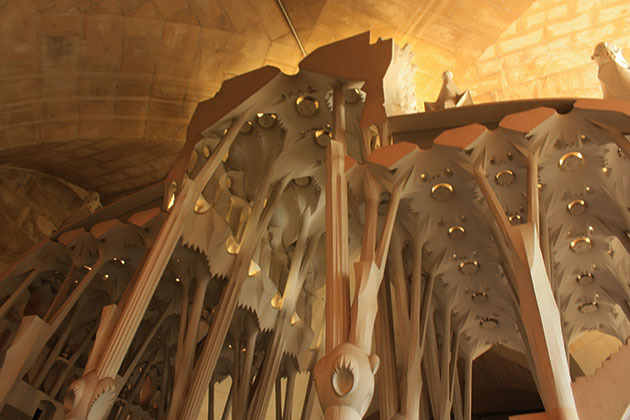 Luckily Gaudi has left behind models and blueprints so that the building can be finished as per his grand design. 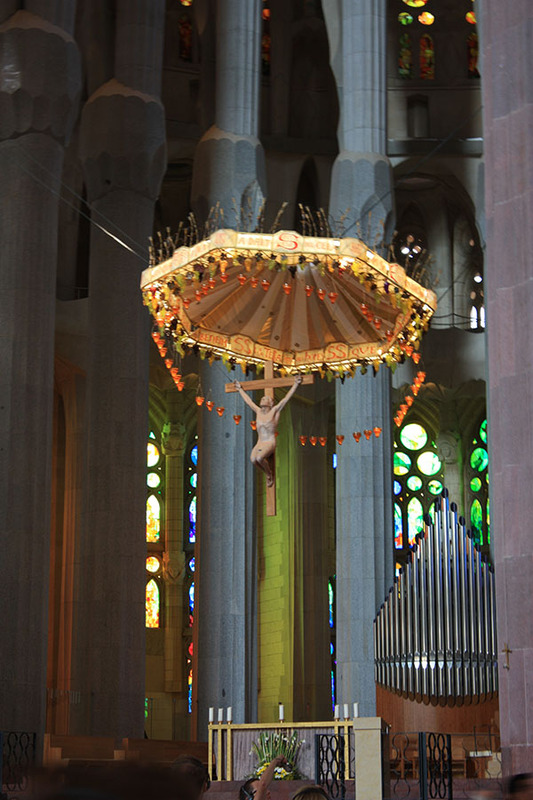 According to the official leaflet, due to new and advanced construction techniques they estimate the Sagrada Familia will be complete in 2028. Whether it’s finished or not, it was already insanely impressive when we visited and a true example of how one man’s dream could continue on through the generations. Standing outside the front entrance at the “Passion” facade. So we were in the queue, and it actually went surprisingly fast, and we walked up the steps to explore the basilica. The outside was amazing (if a little weird), but the inside was glorious. 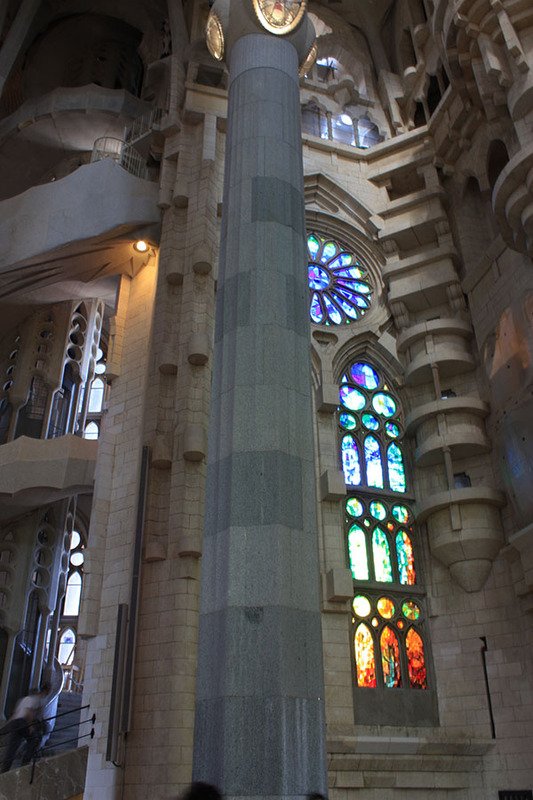 Columns rise up to the incredibly high roof, you’ll find yourself doing a slack jawed 360 trying to take it all in. 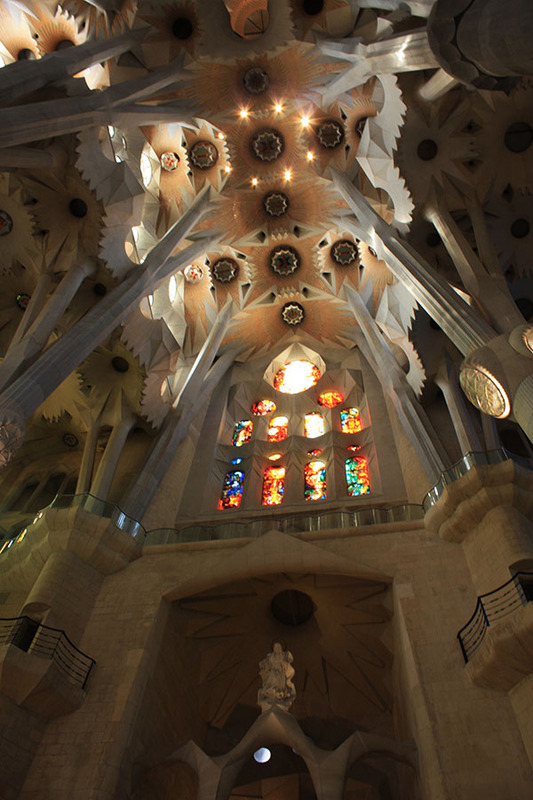 The idea of nature takes a huge role in Gaudi’s vision and design of the Sagrada Familia. 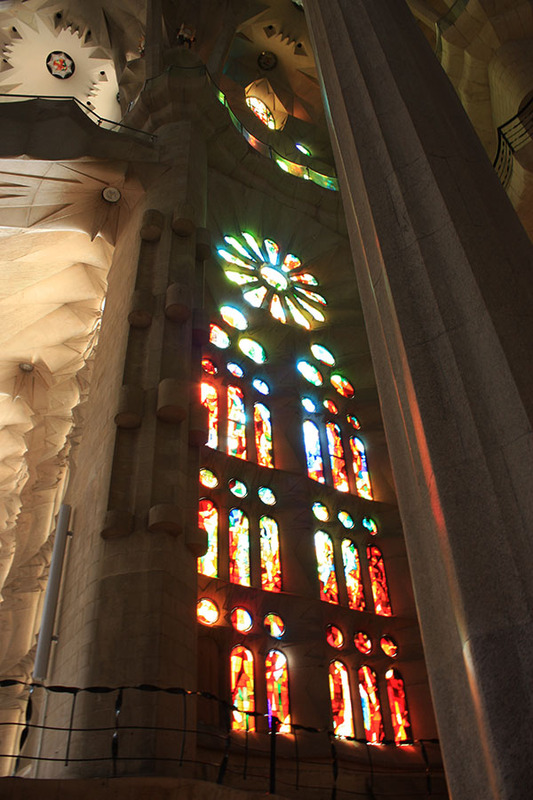 Beautiful stained glass windows are a given, splashing multitudes of colour across the towering pillars and gentle stonework. It was so beautiful and impressive, we spent hours gazing around and exploring the Church. 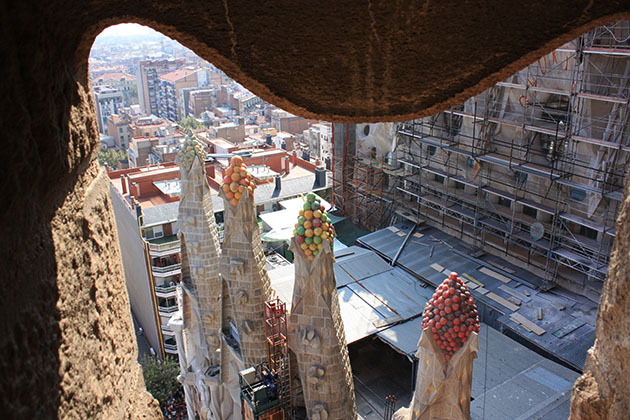 You can also climb up the towers of the Sagrada Familia, which lent great views out over the city of Barcelona and quirky tops of the towers that look like clumped berries. 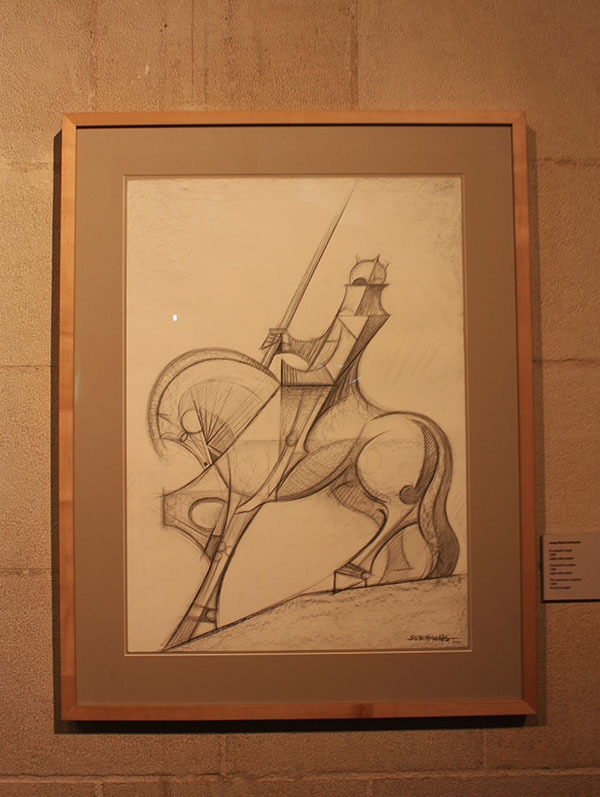 One of my favourite sculptures is the knight riding a horse, found on the “Passion” facade – if you head underneath the building there is a comprehensive overview of the sketches and real life models used to help in the construction. So what are you waiting for? 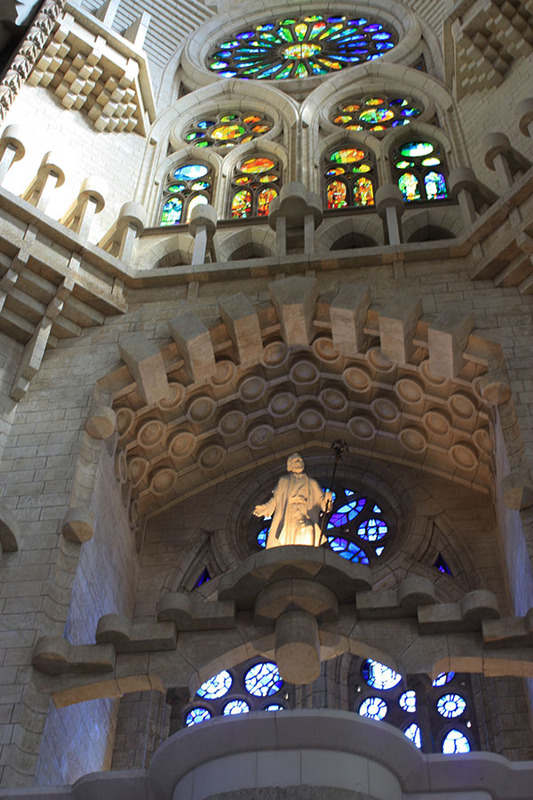 Book yourself a hostel or hotel in Barcelona and see the stunning building with your own eyes. Trust me, these photos don’t even come close to doing it justice. 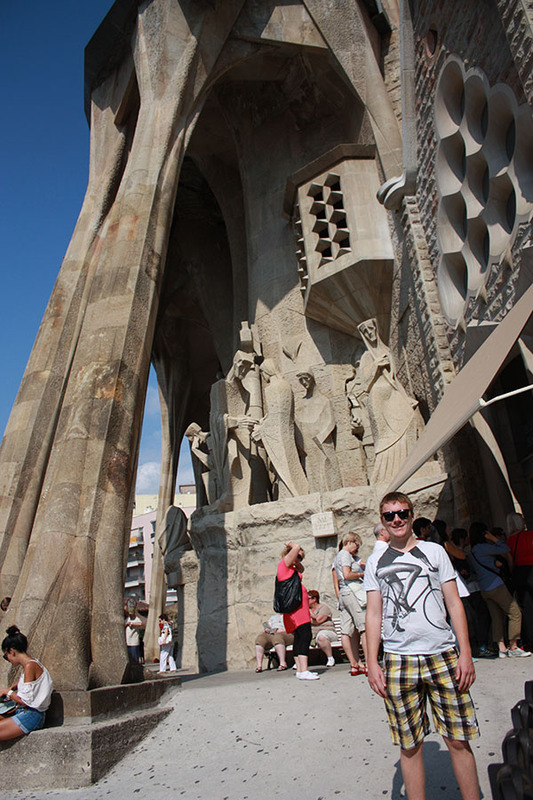 It was one of my favourite experiences from our trip to Barcelona. This post was brought to you in partnership with HostelBookers. As usual in renovation ha ha ha love it anyway! 🙂 Great post!